Get your company recognized for their commitment to safe underground excavation! What do Safe Digging Partners do? Safe digging partners empower their team or community to dig safely. Partners can also promote underground awareness through products and services as well as community outreaches. 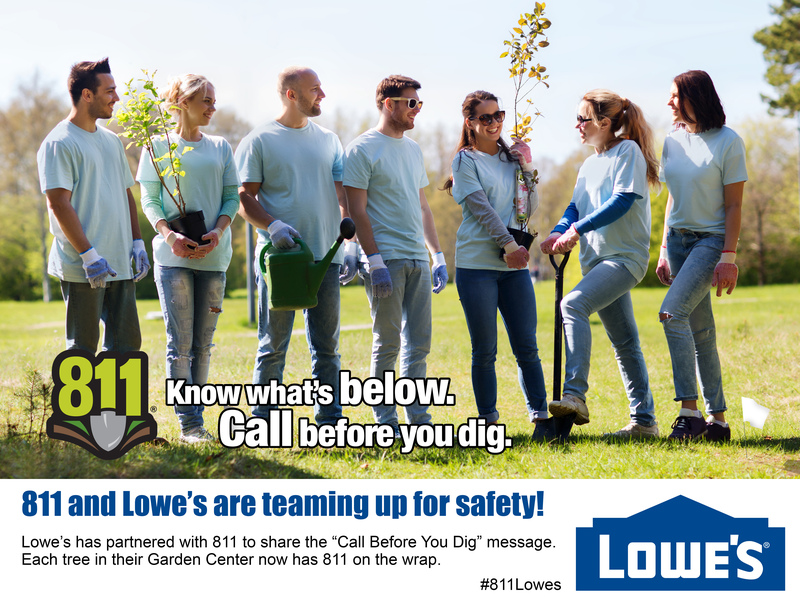 Lowes has teamed up with 811 to spread awareness for undeground damage prevention! Starting in 2017, trees purchased from Lowes will come wrapped with instructions to call 811 before planting. This partnership is pivotal in spreading awareness about damage prevention for underground utilities and safety for all who dig. Visit Lowes for more information and how you can dig safely!